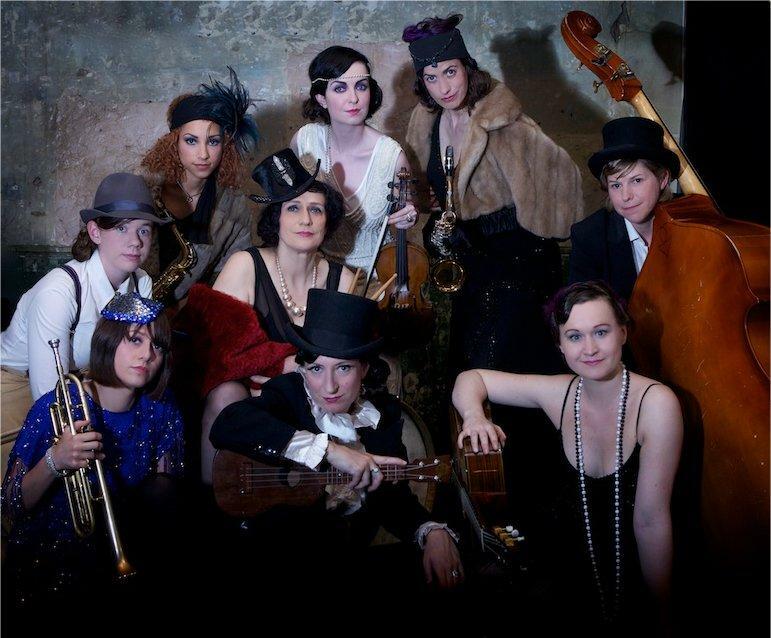 Tricity’s sell-out Edinburgh Fringe Ukulele show has run for three triumphant years. 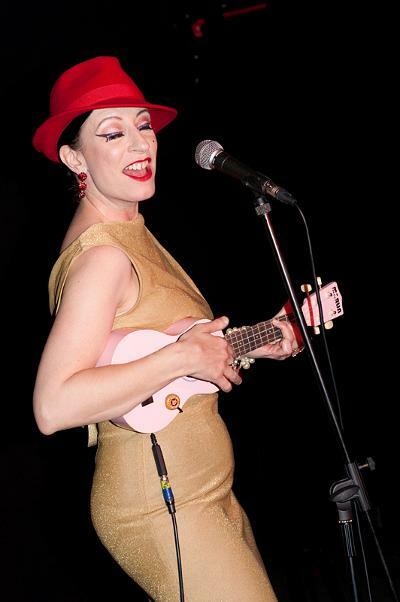 The interactive Ukulele cabaret show features audience sing-alongs, complete with song sheets and the loan of several ukuleles, and featured guest acts, who frequently compete for the coveted prize: the chance to strum the golden ukulele Tricity wears on her head. 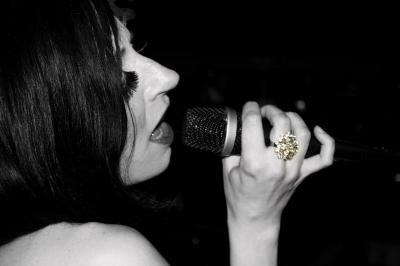 As an entertainment agency we like to provide unique and exciting event entertainers and Tricity will not disappoint! 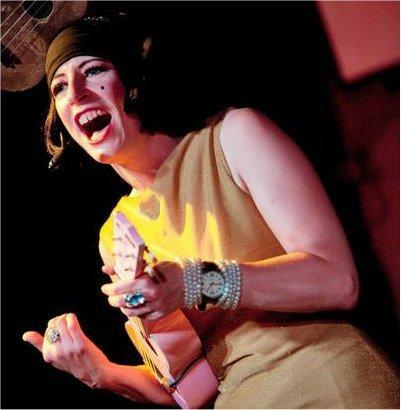 She has staged her ukulele cabaret at the Albany Theatre, Deptford, to sell out audiences, and also runs a monthly night at iconic cabaret venue Cellar Door in London’s theatre district. 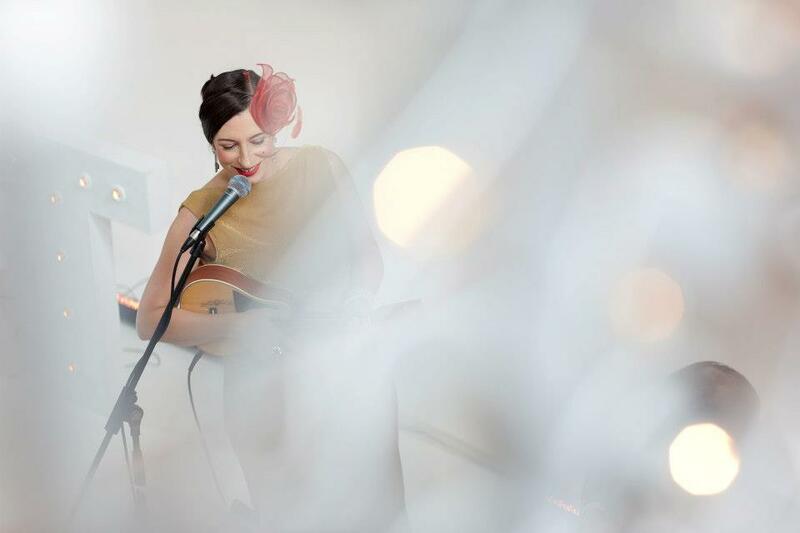 The ukulele show has a cult following at the Lincoln Lounge pub in Kings Cross, London, where it has run monthly for five years, and went on rural tour in 2013. 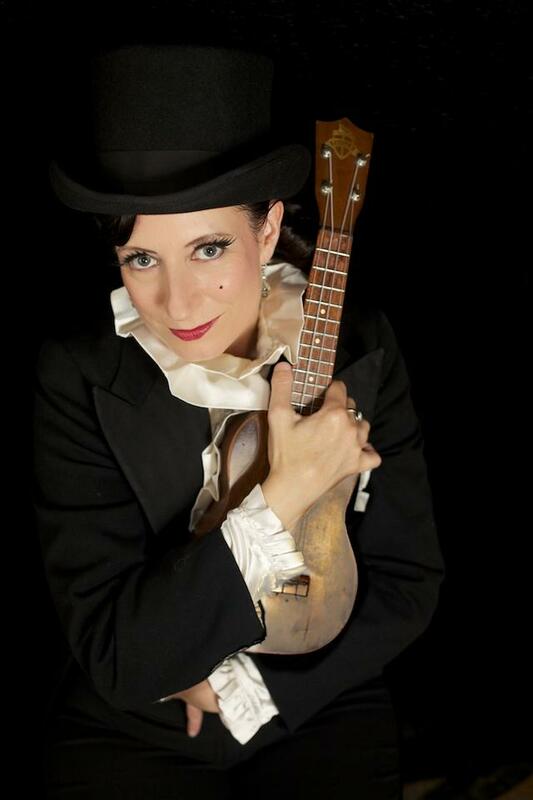 Tricity’s Ukulele Cabaret features between two and four guest acts, solo performers, duos or trios, sourced from the finest acts Tricity has found during her five years hosting and running the show. 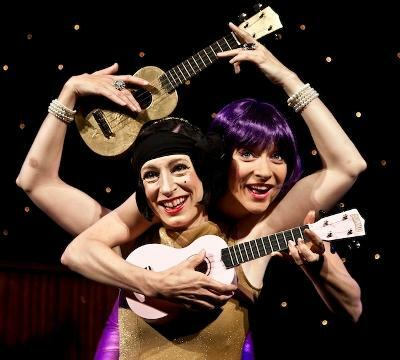 Guests range from sweet and melodic close-harmony singers through ukulele-toting stand-up comedians, and George Formby homage acts, to the very sauciest end of cabaret. Tricity hand picks her guest acts to suit the venue and audience to make each Ukulele Cabaret a unique experience. 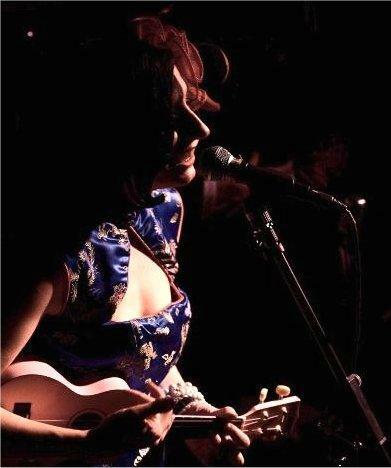 For a solo Ukulele performance, the length is flexible. Ukulele Cabaret performance suggested duration is 20 minutes maximum per set, but music sets can be up to 40-60 minutes per set. For the Ukulele Cabaret the standard format is 2 x 45 minute sets with a 30 minute break. Tricity has an array of costumes including top hat and tails, a selection of full length evening gowns in 20s-50s styles, 1920s flapper style costume, classic elegance, such as black dress or cheung-sam and she can tailor a costume to suit the occasion. If PA is provided by the client, Tricity requires 1 x vocal mic on boom mic stand, and 1 x DI box for jack lead input for ukulele for a solo performance. Tricity can provide a 150 watt PA suitable for a small party, with PAT certification. For the Ukulele Cabaret, an extra mic and an extra DI box will be needed in addition to the above.